Hot Water — Bibb / Henry Albert Co.
Of the total Energy Usage for the average household, more than 12% is spent on Hot Water alone. If your existing Hot Water Heater is over 8 years old, its probably costing you money due to outdated technology and poor operating efficency due too age. There are reasonable upgrade solutions that can cut your hot water expenses by 40%. Some of these options qualify for a 30% Federal Tax incentive as well as State, utility and manufacturer's rebates. Many qualify for Federal & State Tax Incentives. Let BHA show you how. It starts with an Energy Audit so that BHA can help you develop a comprehensive Energy Plan that will break the cycle of dependence we have for cheap energy. Energy Audits are a key component of developing a sound energy strategy, and BHA provides Energy Audits free of charge, so that we can advise you of cost effective options to improve your homes energy performance. Answer a short survey and give us copies of your last 12 months energy bills and we will do the rest. Together we can design a plan to reduce your monthly energy bills without sacrificing your family's comfort. There are Solar Hot Water Systems suitable for residential applications in the Baltimore area. Suitable systems include both flat-plate collector and vacuum tube systems. An analysis of the property needs to be made to determine the most effective site location. Most Renewable Energy Solutions like Solar Hot Water qualify for Tax Incentives. There has never been a better time to look at your options. 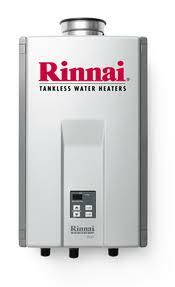 Tankless hot water heaters are a great option for many applications. These units can be installed in almost any location, and provide high-efficiency and very good yields. They can typically generate a 40% reduction in energy cost for the same level of performance. Conventional hot water heaters were great in their time, but they are very inefficient and waistful compared to solar or tankless water heaters. The reason is simple, conventional water heaters are maintaining a reservoir of water based on your peak demand heated and heated and ready around the clock. There are timers that can be added and insulation blankets, but the basic concept is flawed compared to just heating what you want when you want it. There are exceptions and limitations when doing retrofits. This is both a geographical and /or personal choice for the customer. When meeting with a customer all fuel alternatives are considered to find the optimum source and/or combination to meet project requirements.